At the end of October, on our way back from the Organic Seed Symposium in Moncton, New Brunswick, Greta Kryger and I stopped at Hope Seeds to visit Andrea Berry. 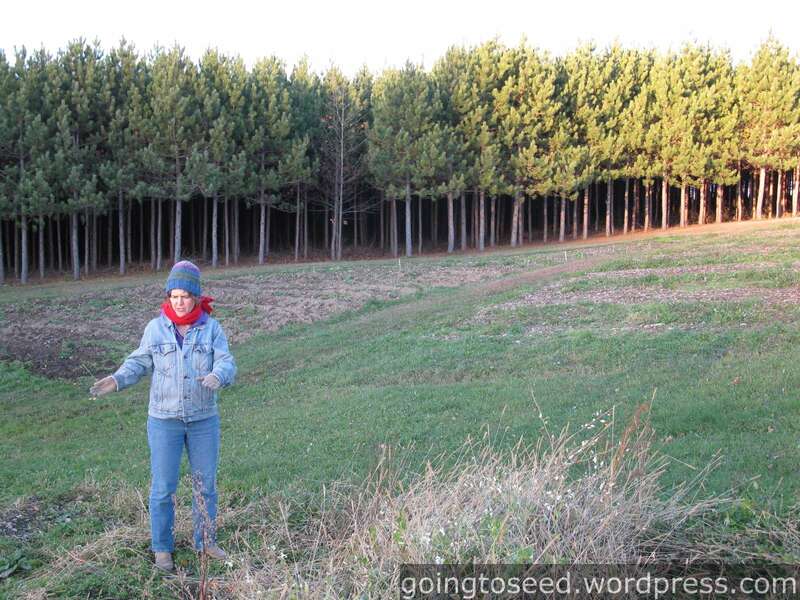 In 2004 Andrea Berry became the owner of Hope Seeds, which had been in operation since 1993. 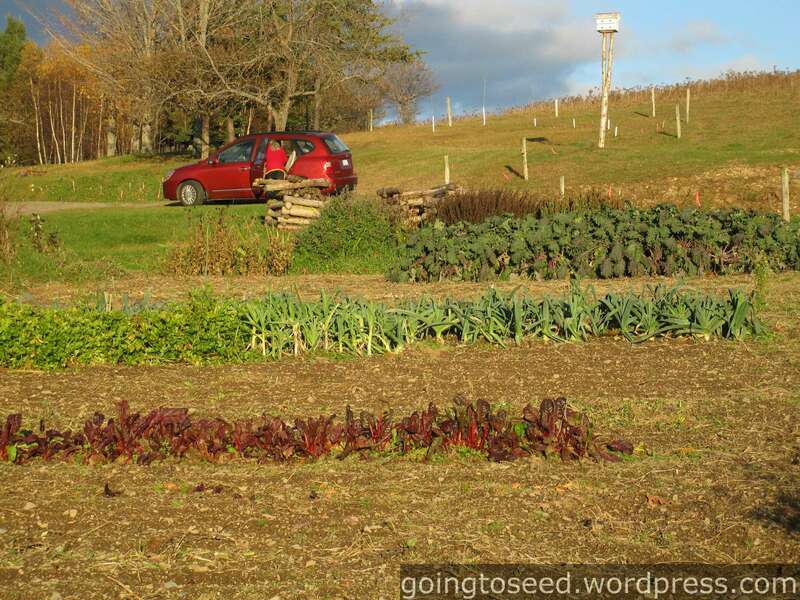 Currently situated in Knowlesville, New Brunswick, Andrea is actually in the process of moving the Hope Seeds farm to Belleisle, Nova Scotia. 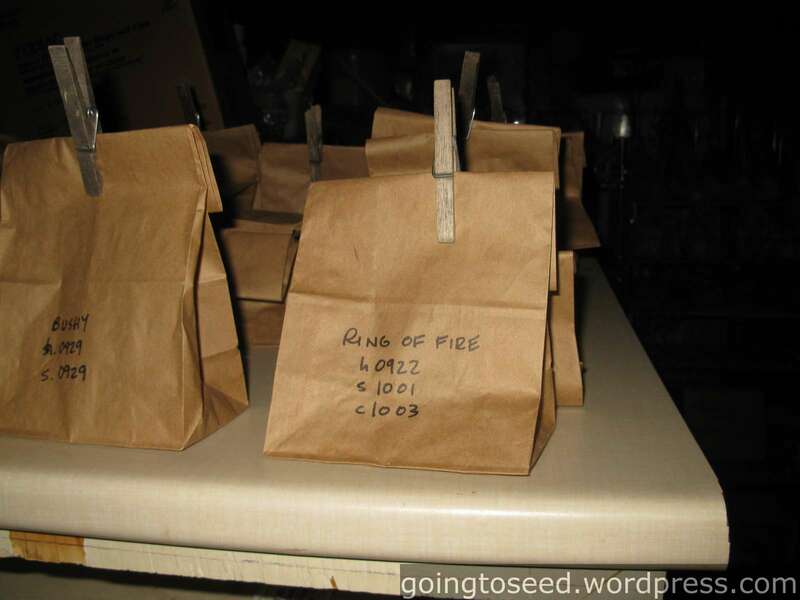 Hope Seeds has an on-line catalogue that offers both small seed packs but also larger formats for farmers and serious gardeners. 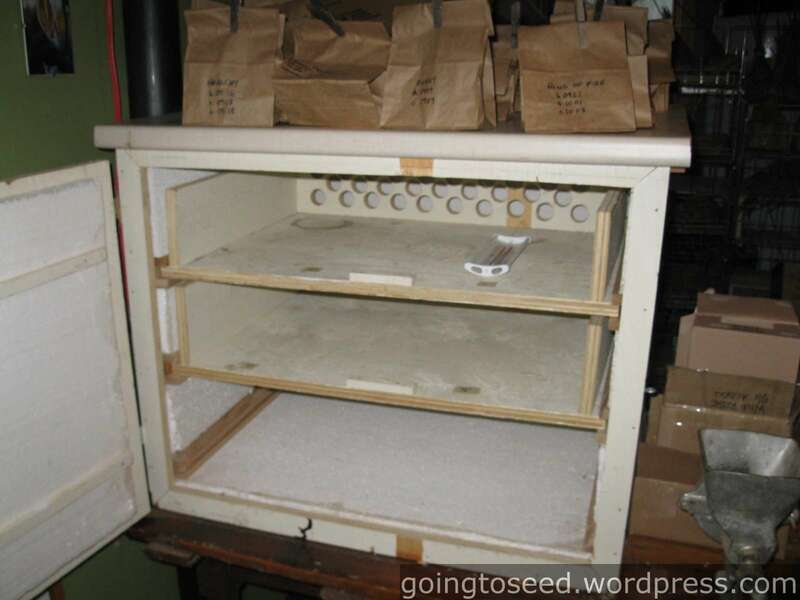 Their seed packs are also available on seed racks in select locations. 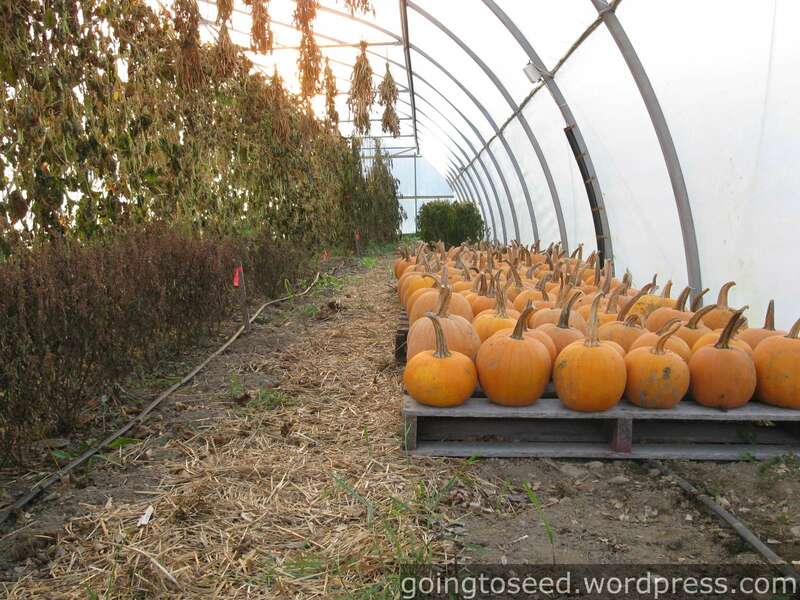 In addition to growing a lot of her own seed, Andrea has developed a network of seed growers who grow seed for her. So let’s get a tour through Hope Seeds. Andrea Berry bundled up on an October evening in her Zone 3b fields. Most of the crops have already been harvested. What is left in the field is mostly destined for the kitchen. 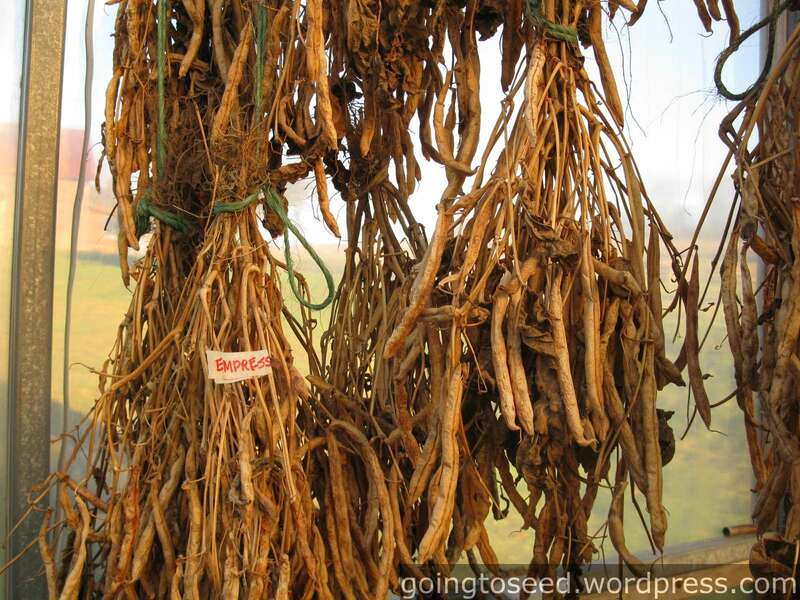 Well labeled bean plants drying upside down in the tunnel. We then moved indoors to visit Andrea’s seed workshop. 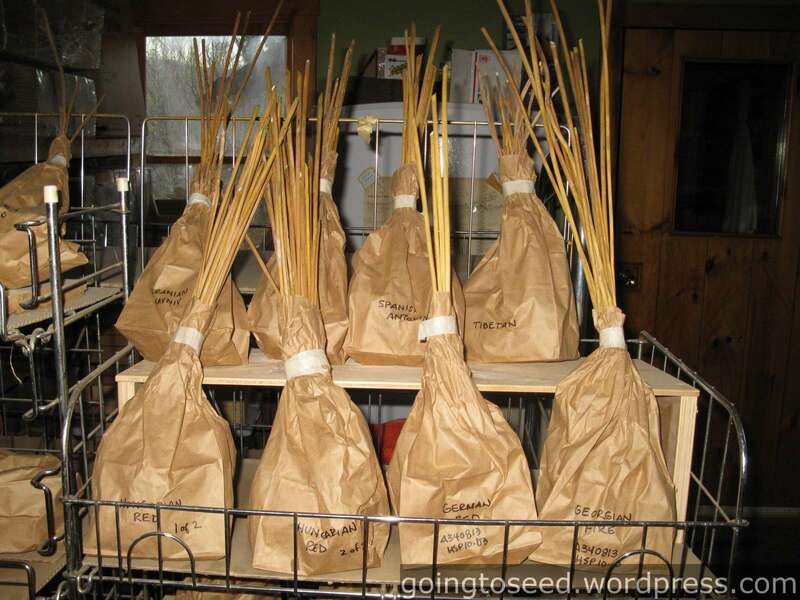 Bagged garlic bulbils on stems wait to be replanted. And what about those clothespins? 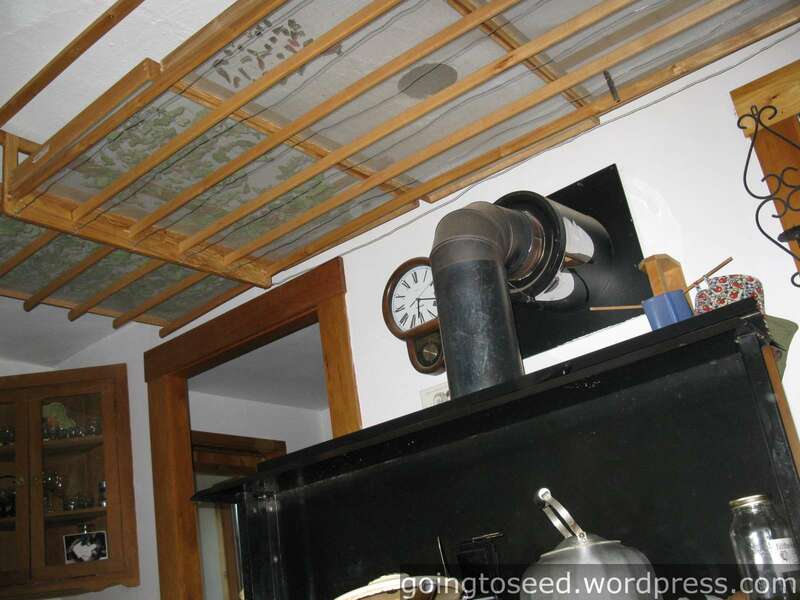 Well, those clip on to the drying racks above the wood stove. 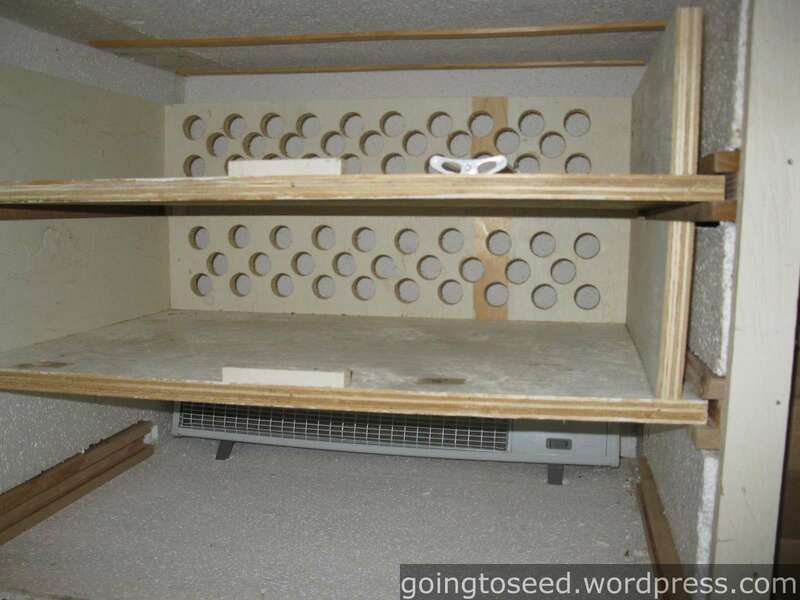 Andrea cautioned that this kind of setup can get too hot for seeds and that she’s had to learn how to manage the temperature to avoid damaging seeds. After leaving Andrea, on our way back to Montreal, Greta and I also visited la Société des Plantes in Kamouraska. I’ll share some of those pictures in the next post.